Boilers are special-purpose water heaters, and we are Greeley plumbers who install these units for residential and commercial properties. Unlike furnaces, which use air to carry heat, boiler systems use hot water that gives up heat as it passes through heat-emitting devices such as radiators. As the water continues back to the boiler, it loses most of its heat. Another trip through the boiler reheats it, and it passes through the whole cycle again. The boiler generally operates on natural gas or heating oil. Hot air systems employ a fan and ducts to transport the warmed air around the house, while a boiler uses a pump to move the heated water through pipes to radiators or, if you have a radiant floor heating system, through plastic tubing in the floor. Despite the increased cost of installation, many homeowners with boiler systems opt for “zone” thermostats, which allow for temperature control by the room, rather than the whole house. 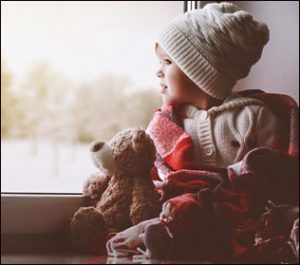 If you have a boiler in Greeley, CO, you know they have an unfortunate tendency to break down during the coldest winter months, when they are forced into hard work after having not been used for a great part of the year. There are a number of possible causes, from thermostat problems to broken diaphragms, valve failures or low water levels. Our professional plumbing service for Greeley, CO can diagnose the problem and fix it quickly, getting your house warm again. Boilers can leak from a number of places, and the causes vary. It is often a broken internal component, like a pump seal or pressure valve. A leak around the pipes or tanks indicates possible corrosion, or a poorly fitted system. A leaking boiler is something a homeowner should never try and repair himself. Call a professional. If it cannot be repaired, you will need to replace the system. It may be as simple as air in the system or the water pressure may be too low. In older systems, a pump that is about to fail may cause these noises. This particular noise is a strange rumbling sound that might remind you of the sound of a kettle boiling. Cause by lime scale or sludge built up on your boiler’s heat exchanger, these deposits can restrict the flow of water within the heat exchanger overheating the water. This causes it to steam and boil—creating the kittling sounds. Kettling causes your boiler to work harder, which means it will cost more to run. And the extra work may shorten the system’s life. We can flush out the system and get it running properly again. A broken thermocouple may be stopping the gas supply, or you may have a draught that is blowing the light out. Sometimes a deposit build-up in the pilot light is the cause. Check your gas supply to be sure it is working –if none of your gas appliances are working, contact your fuel company. If the gas supply is working, carefully try to relight the pilot light, using the instructions found in your boiler manual. No luck? Then it’s time to call in a professional to solve the problem. The central heating system may function poorly when boiler pressure drops too low. Simply look at the built -in pressure gauge on the boiler: If the pressure has fallen below 1, you may have a water leak in the system, a defective pressure relief valve. A recent bleeding of your radiators may be the cause. Waste gas in the water can turn it acidic. In condensing boilers, a condensate pipe, moves this water away from the boiler and generally to an outside drain. This pipe may freeze in very cold weather. Does your boiler have such a pipe? Check under the boiler for the enter and exit pipes. The pipes will be metal, but a plastic pipe –generally white and roughly 2cm wide – is most likely the condensate pipe. It should lead outside of your property, into a drain. You can usually thaw this pipe with warm water; your boiler manual should be of help here. You may need to have a new one installed if the thermostat is losing accuracy or turning the heating on/off when it’s not supposed to. First, though, check to be sure your thermostat is set to the on position, and all the settings are correct. Thermostats do lose accuracy over time, and an older one may, indeed, need to be replaced. Do you find that some radiators are not getting hot? Or that only the bottom section is heating up? This is most often caused by sludge or air build-up in the system, causing unequal heat distribution. If only the bottom of your radiator is getting hot, you may need to bleed it. And if some are hot and some are not, you may need to balance them by adjusting all the valves on all the radiators. Although you can do this yourself, a professional can do it faster and more accurately. If none of the above solve the problem, you may have a sludge build-up problem, and will need a professional to chemically flush the sludge out. Always a headache, especially in very cold weather, this can be caused by low water pressure, a thermostat problem, water not flowing due to a closed valve, or a pump not properly circulating the water. Save time and stress by having a professional determine and repair the problem. Need help with your boiler or with water heaters in Greeley, CO or the surrounding area? Contact us for the best service in the area.